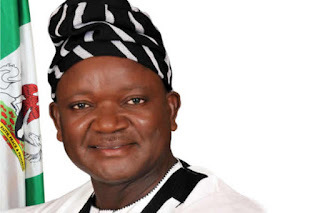 Ortom said, “Those who stole public funds must return it or risk going to jail; government has overwhelming evidence against those indicted in the report of the Judicial Commission of Inquiry setup by the state. “Probing the past administration is part of my responsibility to Benue people; the people voted me because of my pledge to correct all the wrongs in the administration of Suswam. “We must recover all stolen funds in Benue and develop the state with it. We have a lot of evidence against those indicted in the report of the judicial commission of inquiry. “During my campaign, I told the people that I was going to check and boldly correct all the wrongs in Suswam’s administration. Ortom charged the new advisers to steer clear of public funds and dare not to convert funds meant for the execution of projects for service delivery and the people’s welfare into private pockets. “We must be conscious that by probing the previous administration today, ours shall be probed tomorrow,” he stated. The new advisers were Mr. Matthew Mnyam, Mr. Benjamin Ashaver and Mr. Richard Gbaden, bringing the total of advisers to the governor to 20.